Hearing aids provide millions of people all over the country with the gift of hearing. But, as with most technology, things can and do go wrong. 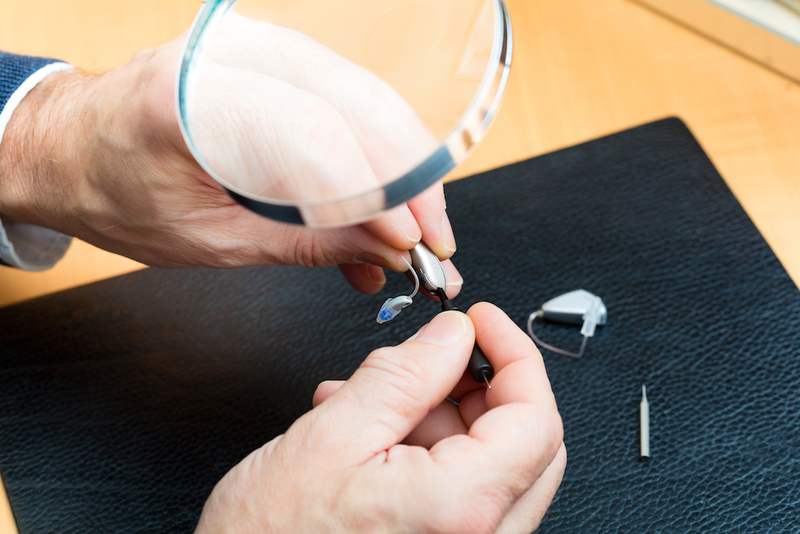 You rely on your hearing aid, so it’s a good idea to know how to fix it when it stops working and when to take it to a specialist. 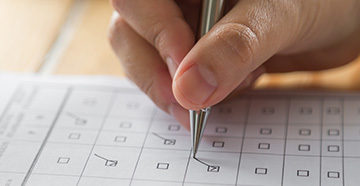 Take a look at some of these ideas for troubleshooting your hearing aids. 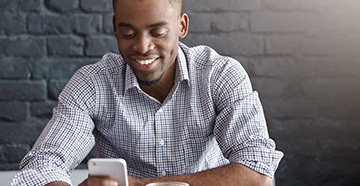 Modern hearing aids are designed to help users pick up certain sounds that they would ordinarily have difficulty hearing, such as words containing “s” or “f.” But an annoying side-effect of this is the tendency for some models to pick up other, similar sounds in the environment. What would have once been neutral background noises, like the hum of a dishwasher or the ticking of a clock, can suddenly become irritating. The good news is that many hearing aids have channel settings which allow you to emphasize certain audio frequencies and turn down others. To begin with, you could try adjusting the amplification of various pitches to see whether you can cut down on some of the more annoying noises. If, however, you find that this is affecting the quality of your hearing, it might be time to speak with your audiologist. Audiologists at Sound Advice can advise you on which hearing aid models are better at blocking out unwanted extraneous noises while maintaining the volume of those you want to hear. It’s common for patients to complain that their hearing aid isn’t as loud as it used to be after wearing it for a couple of weeks. However, rather than getting quieter (or there being a problem with the speaker), it’s usually the result of the patient’s brain adapting to the new sounds. Sometimes, all you need to do is visit your audiologist and get them to increase the volume. Alternatively, if you have a companion app for your hearing aid, you can do this yourself. Other times, though, there can be a problem with the device itself. Take a look at your hearing aid to see whether any obvious physical issues might be preventing the device from producing quality, audible sound. Check the earbuds for a buildup of wax, inspect the tubing and make sure that there are no cracks in the earmold. Finally, ensure that you’re still using your preferred settings and haven't accidentally switched to a different mode. If you can’t find the settings for this, check with your audiologist. Whistling or droning noises are common among some varieties of hearing aid because of the interaction between the microphone and the speaker. Many models have automatic feedback cancellation, but sometimes these systems don’t work correctly, leading to frustration for users. First of all, avoid wearing clothing that covers your ears. Clothing can trap the sound from the speaker and help the microphone pick it up, producing feedback. Also, if possible, keep the volume of the hearing aid down, as higher volumes make it more likely that the microphone will pick up a signal. Finally, if you suspect that earwax is the problem, go and see your audiologist for a consultation and get them to remove any blockages. Earwax can result in tinnitus, a ringing sensation in the ear. There can actually be a number of different reasons your hearing aid won’t power on – and they don’t all mean it’s damaged. First, try checking the battery compartment to ensure it’s closing all the way. Next, examine your batteries to make sure they are in the right way, make sure to clean out the compartment if there is any earwax or debris sticking around. You will also want to try putting a fresh pair of hearing aids in, but make sure they aren’t expired, the tabs haven’t been removed and they have been stored in the right conditions. Hearing aid batteries should be kept in a dry and cool environment to preserve the lifespan. If you try all of these steps and still can’t get your hearing aid to power on, contact your audiologist. 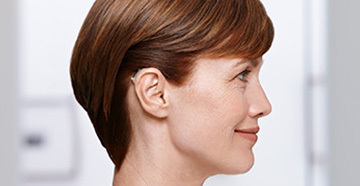 If you have any problems with your hearing aid, Sound Advice in Burbank is here to help. You can bring your hearing aid to our local clinics, and our experts will help you diagnose and fix the problem. You can call us on (818) 841-0066 to speak to a member of our team about your issue.